Colombia's tropical dry forest ecosystem once covered 9 million hectares. Today, only 8% remains, according to the Alexander Von Humboldt Institute. Thousands of people and several endemic species call this unique ecosystem home. The need to conserve and restore the tropical dry forest in Colombia is urgent. Tropical dry forests are important carbon sinks, regulate the climate, protect the soil, and store and release water. 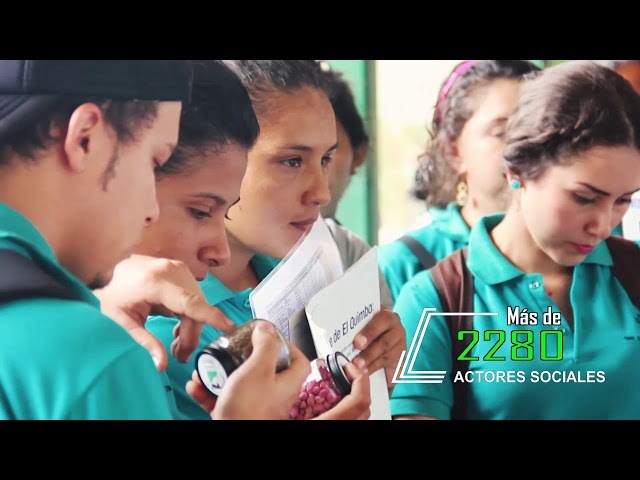 As part of Initiative 20x20, Colombia has pledged to begin the restoration of 1 million hectares of degraded land, and this threatened natural area is the perfect place to start. In response, a consortium led by Fundación Natura launched the Pilot Plan for the Restoration of the Tropical Dry Forest in Colombia's Huila Department, the country's largest restoration project to date. Over 20 years, the partners, which include the energy company Enel Group, which operates the nearby El Quimbo hydroelectric dam, and Colombia's Natural National Parks department, aim to restore 11,079 hectares and invest US$ 19.3 million. Enel Group is funding the project to comply with the Environmental License that it was granted to build the El Quimbo dam. Between 2014 and 2018, the partners formed a tropical dry forest research center, where they propagated more than 210,000 individuals of 62 species to restore the land. The team of over 200 employees takes the "ecological" part of ecological restoration seriously: They used 55 restoration different strategies to restore the first 142 hectares. Of the 52 native species planted, 6 are endangered or threatened. The team even discovered a new plant species, Pitcarnia huilensis bromeliad, breeding and planting 600 individuals. By building and maintaining 365 perches, 150 palisades, 150 trellises, and 11 reservoirs, the team worked to bring rare and endangered animal species, like the yellow-crowned Amazon (Amazona ochrocephala) and the scarlet-fronted parakeet (Psittacara wagleri), back to this once-thriving ecosystem. Now, the team has moved to the second phase of the plant, restoring a further 550 hectares by 2021. And by 2024, they expect that more than 2,500 hectares will be restored.